People often ask me what my favourite tools are or what I use for specific areas of my business. It is for that reason that I created this page. To give you more useful information on products that will hopefully help you on your journey to becoming a successful entrepreneur. To make things easier for you I have grouped them into categories. Over time, as I experiment with newer tools I may make changes to this list but I did my best to make it as comprehensive as possible to cover all the resources that have helped me toward success in my own business journey. I hope they will help you too. Full disclosure: For some of these products I do receive a small commission when you click on the provided link as I am an affiliate with some of these companies. Nevertheless, I would never recommend any product or service I do not believe in. All products recommended are products I have used and am satisfied with. If you use social media at all Hootsuite is a tool you should definitely become familiar with. It has saved me loads of time by allowing me to schedule my social media posts and updates across multiple platforms. With support for over 35 popular social media platforms, the ability to collaborate with a team and the option to measure ROI by seeing the performance of your posts, all from within the Hootsuite dashboard it is definitely a winner in my book. The best part is that you can sign up for a free 30 day trial﻿ before committing to a payment. Unfollowers has helped me to take charge of my Twitter account by assisting me with scheduling tweets, managing my followers and connecting with people who are interested in what I have to share. This is turn does wonders to boost my Twitter presence. There is a mobile app which is great for convenience and for those who use Instagram, both platforms can be managed with the use of Unfollowers. Check out Unfollowers here. 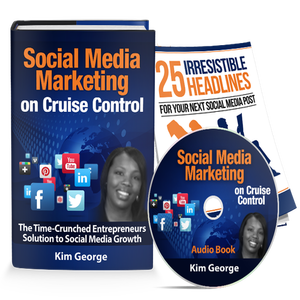 Social on Cruise Control is an affordable training program developed by my good friend Kim George of Small Business Sense. The program teaches business owners how to make the most of social media marketing without spending too much time or money by automating much of the process. It is a must have if you intend to use social media effectively while saving time for other areas of your business and life. Check out Social on Cruise Control here. CoSchedule is a powerful scheduling tool that offers integration with more tools than any other similar product on the market. It allows you to integrate your Wordpress blog, Google Docs, Analytics and Calendar, Bitly links, Buffer and Evernote among others. It also allows easy scheduled sharing of posts to social media platforms like Facebook, Twitter, LinkedIn, Google+ and others. The result is a lot of time saved and a well-executed marketing plan. Che﻿ck out CoSchedule here. StumbleUpon is a very useful tool for finding and curating valuable content. You can create lists based on your interests and save articles or websites that you like on these lists for later reference or review. When used effectively, it can also be used to share your own content with an audience of users who have similar interests. Visit StumbleUpon. Hubspot is an amazing software for inbound marketing and sales. They also have an amazing blog that provides a wealth of resource on digital marketing. I have gotten insight from many of their articles as well I have used their various free templates to create infographics. The best part is that most of these resources from the blog free once you register with them. Yoast SEO is my go-to search engine optimization tool. No article or other content makes it onto my site without undergoing a Yoast SEO evaluation. Yoast SEO is a Wordpress plugin that was designed by the folks at Yoast whose mission is to optimize websites with their suite of Wordpress plugins and tools. Get Yoast SEO for your WordPress blog. I use Feedly to stay abreast of the happenings in areas that matter to me and my business. The tool is a news aggregator that scours the internet for timely news on whatever areas you specify and displays this information in your feed as it happens. The service is free and is available using a web browser or using the Feedly mobile app. For most of us whose business it is to remain in the know, Feedly is priceless. Check out Feedly. I use SumoMe on by website for evaluation and to increase email collection. Among the more popular features are heat maps, list builders designed to increase email signups and forms and sharing features all meant to increase your audience and make the loyal repeat visitors. A great feature of SumoMe is the fact that it integrates with all major email marketing services which makes for a seamless user experience. Get SumoMe for your site. Lead Pages has been instrumental in the creation of landing pages for my website. Using their simple efficient landing page builder you can create landing pages in minutes from customisable templates. These landing pages can then be posted to Facebook or your own website to capture leads through email collection. Lead Pages allows integration with all major email service providers and allows split testing and evaluation with the use of analytics. Click here to get Lead Pages. All my email marketing and the management of my mailing list is done with the help of Aweber. It is extremely valuable in the creation of campaigns and for autoresponder sequencing which can be very effective in keeping the interest of new subscribers and maintaining the attention of older subscribers. Aweber also works seamlessly with Wordpress sites, Faceook, Shopify and any others. Click here to sign up for a risk free 30-day trial before you commit to a monthly plan. Smartsheet is a wonderful tool for collaborating with your team. Whether your business is large or small, you will find that Smartsheet provides solutions that go beyond your needs. Building on the structure of the basic spreadsheet, Smartsheet provides useful features like integrating calendars, collaborative workflow between clients, vendors and employees and countless others. It’s the best online project management tool I’ve come across in a while. Check out Smartsheet here. I often use iPiccy to edit photos that need retouching before adding them to my blog posts. It is a simple online editor that does not require you to download any software. You can apply photo effects, add text and make other adjustments free of cost with the iPiccy. Fiverr has proven to be very useful whenever I have elements of my business I need to outsource. From copywriting to graphic design the freelancers on Fiverr cover all areas. There is no charge to join; you only pay when you hire talent after the work has been satisfactorily delivered. Use this link to sign up and receive free credit toward your first order. Get a Fiverr account. 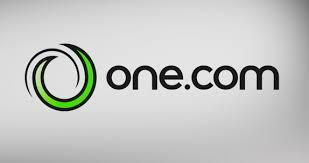 Upwork (which used to be O’Desk) is another great tool for outsourcing to the very best freelancers in the marketplace. On Upwork you will find translators, writers, virtual assistants, customer service representatives, software developers and many others. Freelancers are available for one-off jobs or extensive projects that span weeks or months. To sign up click here. I cannot say enough about Evernote which is by far the single most useful tool I have ever encountered. I use it in business and my personal life. I have used it to create to do lists, to collaborate with my team, and share documents. It can also be used to clip information from websites and store these into organized notebook categories. One of the best features of Evernote is the fact that it has a desktop, web browser and mobile version. It also syncs across devices, so I can start the day on my laptop, add two lines to a note on my cell phone then pick up in the evening on my iPad, all without skipping a beat. If you are not comfortable crafting your own business plan LivePlan is an excellent resource. From forecasting (to determine if your business concept will be viable) and collaborating with your team to visual formatting (presenting the best physical pitch possible) and guidance with making the pitch, LivePlan provides solutions to all possible challenges that you may encounter in developing your business plan. Signup to LivePlan.